Introducción. La hiperhidrosis axilar primaria representa un motivo de consulta muy frecuente en la práctica dermatológica. 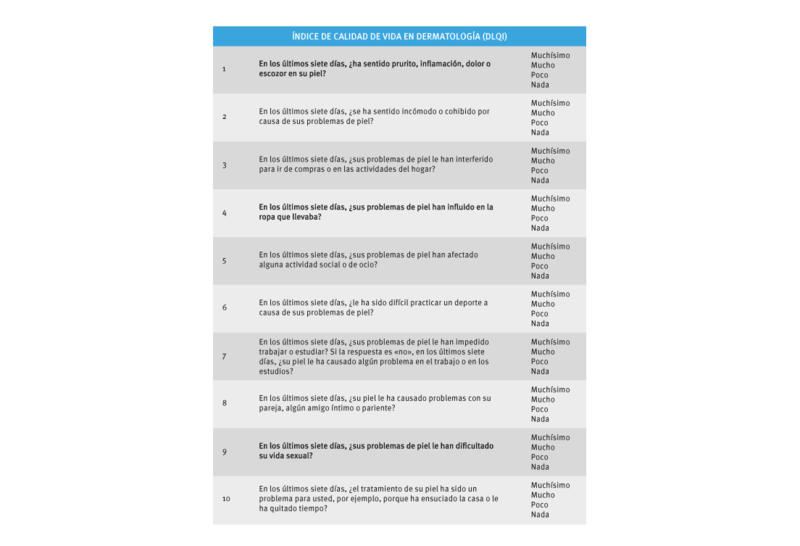 Las alternativas de tratamiento no quirúrgico son de alto costo y, los resultados, de corta duración. Dados el impacto y la cronicidad de esta condición, los pacientes solicitan tratamientos no invasivos y duraderos para el manejo de la hiperhidrosis. Nos enfrentamos a mucha publicidad en cuanto a nuevas opciones terapéuticas, tales como láser, radiofrecuencia y microondas. Esta revisión pretende contribuir a responder la pregunta: ¿es posible ofrecer a los pacientes tratamientos como láser, radiofrecuencia y microondas para la hiperhidrosis axilar primaria? Metodología. Se hizo una revisión sistemática de la literatura científica utilizando las bases de datos Pubmed, Cochrane y Lilacs, teniendo como población diana a los pacientes mayores de 18 años con diagnóstico de hiperhidrosis axilar primaria. Resultados. Se encontraron 162 artículos y, a partir de ellos, se elaboró la siguiente revisión de tema. 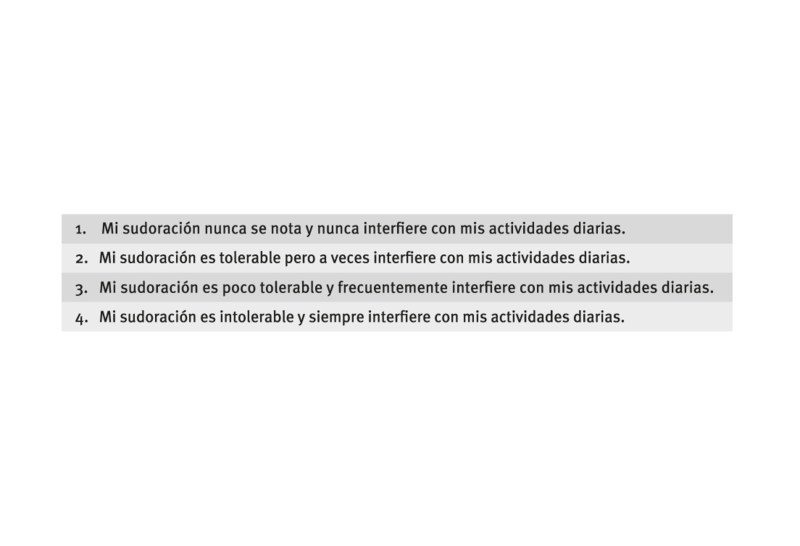 Conclusiones. La termoterapia (láser, microondas, radiofrecuencia pixelada) se ha utilizado en los últimos años con resultados muy variables y, aunque es claro su efecto en cuanto a la destrucción de las glándulas, aún no se dispone de suficiente información de la duración del efecto, la temporalidad de las sesiones, y la necesidad y frecuencia de mantenerlas. Se necesita hacer más estudios en nuestra población. Introduction: Primary axillary hyperhidrosis represents a frequent reason for consultation in dermatological practice. Non-surgical treatment alternatives are costly and short-term results. Given the impact and chronicity of this condition, patients request non-invasive and long-lasting treatments for the management of hyperhidrosis. We are facing a lot of publicity regarding new therapeutic options such as laser, radiofrequency and microwave. This review aims to answer the question if it is possible to offer patients treatments such as laser, radiofrequency and microwaves for primary axillary hyperhidrosis. Methodology: We did a systematic review of the literature using the Pubmed, Cochrane and Lilacs databases, having as target population patients older than 18 years of age with diagnosis of primary axillary hyperhidrosis. Results: A total of 162 articles were found and from these, the following revision was prepared. Conclusions: Thermotherapy (laser, microwave, pixelated radiofrequency) has been used in the last years with very variable results and although its effect on the destruction of the glands is clear, there is not enough evidence on the duration of the effect, the temporality of the sessions and the need and frequency of maintenance. We need to carry out studies in our population. Leong L. Human thermoregulation and measurement of body temperature in exercise and clinical settings. Ann Acad Med Singapore. 2008;37:347-53. Atkins JL, Butler PE. Hyperhidrosis: A review of current management. Plast Reconstr Surg. 2002;110:222-8. Solish N, Bertucci V, Dansereau A, Hong HC, Lynde C, et al. A comprehensive approach to the recognition and severity-based treatment of focal hyperhidrosis: Recommendations of the Canadian Hyperhidrosis Advisory Committee. Dermatol Surg. 2007;33:908-23. Mahendiran S, Burkhart CN,. Burkhart CG. Hyperhidrosis: A review of a medical condition. The Open Dermatology Journal. 2009;3:195-7. Strutton DR, Kowalski J, Glasser DA, Stang P. US prevalence of hyperhidrosis and impact on individuals with axillary hyperhidrosis: Results from a national survey. J Am Acad Dermatol. 2004;51:241-8. Janig W. Functions of the sympathetic innervation of the skin. In: Loewy AD, editor. Central regulation of autonomic functions. New York: Oxford University Press; 1990. p. 334-48. Simon E. Temperature regulation: The spinal cord as a site of extrahypothalamic thermoregulatory functions. Rev Physiol Biochem Pharmacol. 1974;71:1-76. Moran DS, Mendal L. Core temperature measurement: Methods and current insights. Sports Med. 2002;32:879-85. Schnider P, Binder M, Auff E, Kittler H, Berger T, Wolff K. Double-blind trial of botulinum, a toxin for the treatment of focal hyperhidrosis of the palms. Br J Dermatol. 1997;136:548-52. Fawcett DW. Tratado de histología. 12ª edición. Madrid: Editorial McGraw Hill Interamericana; 1995. p. 703-8. Altman RS, Schwartz RA. Emotionally induced hyperhidrosis. Cutis. 2002;69:336-8. Felini R, Demarchi AR, Fistarol ED, Matiello M, Delorenze LM. Prevalence of hyperhidrosis in the adult population of Blumenau, SC, Brazil. An Bras Dermatol. 2009;84:361-6. Sato K, Kang WH, Saga K, Sato KT. Biology of sweat glands and their disorders. II. 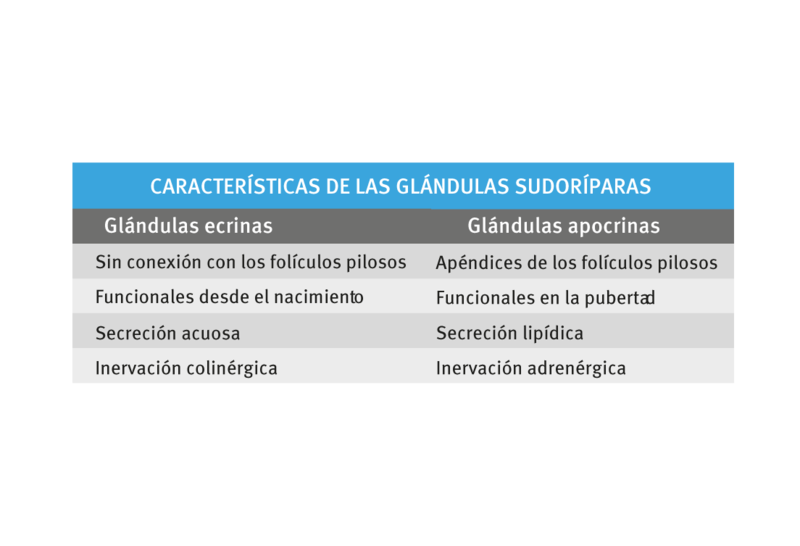 Disorders of sweat gland function. J Am Acad Dermatol. 1989;20;713-26. Walling HW. Primary hyperhidrosis increases the risk of cutaneous infection: A case-control study of 387 patients. J Am Acad Dermatol. 2009;61:242-6. Walling HW. Clinical differentiation of primary from secondary hyperhidrosis. J Am Acad Dermatol. 2011;64:690-5. Tugnoli V, Eleopra R, De Grandis D. Hyperhidrosis and sympathetic skin response in chronic alcoholic patients. Clin Auton Res. 1999;9:17-22. Hornberger J, Grimes K, Naumann M, Glaser DA, Lowe NJ, Naver H, et al. Recognition, diagnosis, and treatment of primary focal hyperhidrosis. J Am Acad Dermatol. 2004;51;274-86. Lewis V, Finlay AY. 10 years’ experience of the Dermatology Life Quality Index (DLQI). J Investig Dermatol Symp Proc. 2004;9:169-80.
de Campos JRM, Kauffman P, de Campos WE, Andrade FLO, Kuzniek S, Wolosker N, et al. Questionnaire of quality of life in patients with primary hyperhidrosis. J Pneumologia. 2003;29:178-81. Swartling C, Naver H, Lindberg M. Botulinum A toxin improves life quality in severe primary focal hyperhidrosis. Eur J Neurol. 2001;8:247-52. Vorkamp T, Foo FJ, Khan S, Schmitto JD, Wilson P. Hyperhidrosis: Evolving concepts and a comprehensive review. Surgeon. 2010;8:287-92. Shelley WB, Hurley HJ, Jr. Studies on topical antiperspirant control of axillary hyperhidrosis. Acta Derm Venereol. 1975;55:241-60. Baker DM. Topical glycopyrrolate reduces axillary hyperhidrosis. J Eur Acad Dermatol Venereol. 2016;30:2131-6. Reinauer S, Neusser A, Schauf G, Holzle E. Iontophoresis with alternating current and direct current offset (AC/DC iontophoresis): A new approach for the treatment of hyperhidrosis. Br J Dermatol. 1993;129:166-9. Karakoc Y, Aydemir EH, Kalkan MT, Unal G . Safe control of palmo-plantar hyperhidrosis with direct electrical current. Int J Dermatol. 2002;41:602-5. Simpson LL. The origin, structure, and pharmacological activity of botulinum toxin. Pharmacol Rev. 1981;33:155-8. Heckmann M, Ceballos-Baumann AO, Plewig G. Botulinum toxin A for axillary hyperhidrosis (excessive sweating). N Engl J Med. 2001;322:488-93. Naver H, Swartling C, Aquilonius SM. Palmar and axillary hyperhidrosis treated with botulinum toxin: one-year clinical follow-up. Eur J Neurol 2000;7:55-62. Naumann M, Lowe NJ. Botulinum toxin type A in treatment of bilateral primary axillary hyperhidrosis: Randomised, parallel group, double blind, placebo controlled trial. Br Med J. 2001;323:596. Naumann M, Lowe NJ, Kumar CR, Hamm H. Botulinum toxin type A is a safe and effective treatment for axillary hyperhidrosis over 16 months: A prospective study. Arch Dermatol. 2003;139:731-6. Jemec B, Holm Hansen B. Follow-up of patients operated on for axillary hyperhidrosis by subcutaneous curettage. Scand J Plast Reconstr Surg. 1978;12:65-7. Darabaneanu S, Darabaneanu HA, Niederberger U, Russo PA, Lischner S, Hauschild A. Long-term efficacy of subcutaneous sweat gland suction curettage for axillary hyperhidrosis: A prospective gravimetrically controlled study. Dermatol Surg. 2008;34:1170-7. Böni R. Tumescent suction curettage in the treatment of axillary hyperidrosis: Experience in 63 patients. Dermatology. 2006;213:215-7. Hernández C, Gómez L, Londoño Á. Evaluación de la técnica quirúrgica "curetaje" axilar para el tratamiento de la hiperhidrosis axilar, fase retrospectiva. Rev Asoc Colomb Dermatol. 2012;20:314-21. Baram A. Single incision thoracoscopic sympathectomy for palmar and axillary hyperhidrosis. SAGE Open Medicine. 2014;2:2050312114523757. Licht, PB. Thoracoscopic sympathectomy for axillary hyperhidrosis: The influence of T4. Ann Thorac Surg. 2005;80:455-60. Goldman A, Wollina U. Subdermal Nd-YAG laser for axillary hyperhidrosis. Dermatol Surg. 2008;34:756-62. Lupin M, Hong HC, O’Shaughnessy KF. Long-term efficacy and quality of life assessment for treatment of axillary hyperhidrosis with a microwave device. Dermatol Surg. 2014;40:805-7. Fatemi-Naeini F, Abtahi-Naeini B, Pourazizi M, Nilforoushzadeh, Mirmohammdkhani M. Fractionated microneedle radiofrequency for treatment of primary axillary hyperhidrosis: A sham control study. Australas J Dermatol. 2015;56:279-84. Letada PR, Landers JT, Uebelhoer NS, Shumaker PR. Treatment of focal axillary hyperhidrosis using a long pulsed Nd:YAG 1,064 nm laser at hair reduction settings. J Drugs Dermatol. 2012;11:59-63. Johnson JE, O’Shaughnessy KF, Kim S. Microwave thermolysis of sweat glands. Lasers Surg Med. 2012;44:20-5. Glaser DA, Coleman WP, Fan LK, Kaminer MS, Kilmer SL, Nossa R, Smith SR, O’Shaughnessy KF. A randomized, blinded clinical valuation of a novel microwave device for treating axillary hyperhidrosis: The dermatologic reduction in underarm perspiration study. Dermatol Surg. 2012;38:185-91. Naeini FF, Saffaei A, Pourazizi M, Abtahi-Naeini B. Histopathological evidence of efficacy of microneedle radiofrequency for treatment of axillary hyperhidrosis. Indian J Dermatol Venereol Leprol. 2015;81:288-90. Pinson I, Olisova O. Non-invasive short-wave guided radiofrequency device for long-term sweat reduction in patients with primary axillary hyperhidrosis: A preliminary study. Moscow: Alma Laser Ltd.; 2013. Kim M, Shin JY. Efficacy of fractional microneedle. Radiofrequency device in the treatment of primary axillary hyperhidrosis: A pilot study. Dermatology. 2013;227:243-9.